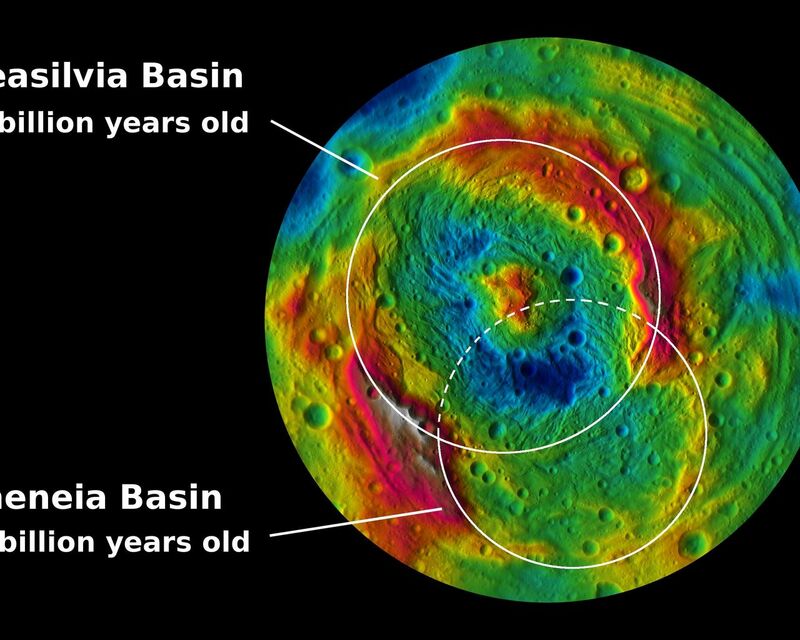 This topographic map from NASA's Dawn mission shows the two large impact basins in the southern hemisphere of the giant asteroid Vesta. The map is color-coded by elevation, with red showing the higher areas and blue showing the lower areas. 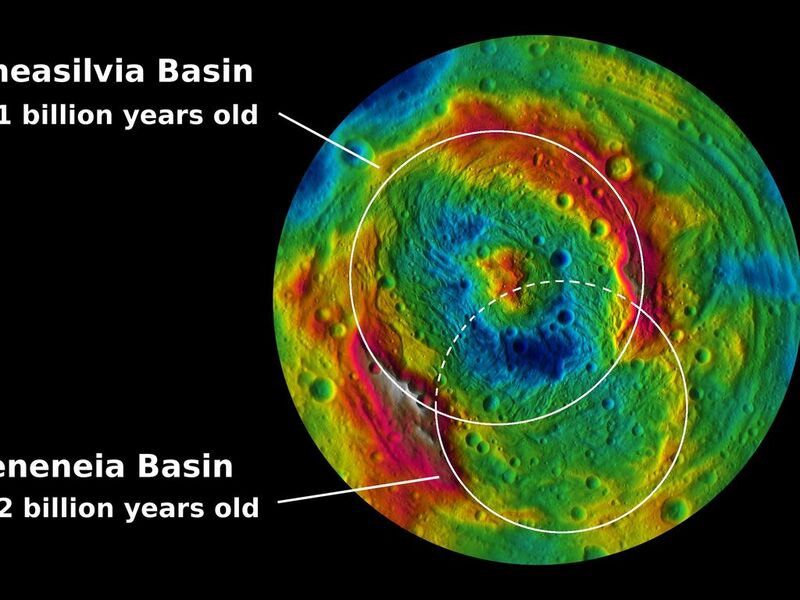 Rheasilvia, the largest impact basin on Vesta, is 310 miles (500 kilometers) in diameter. Scientists estimate that it formed 1 billion years ago by counting the number of smaller craters that have formed on top of it. 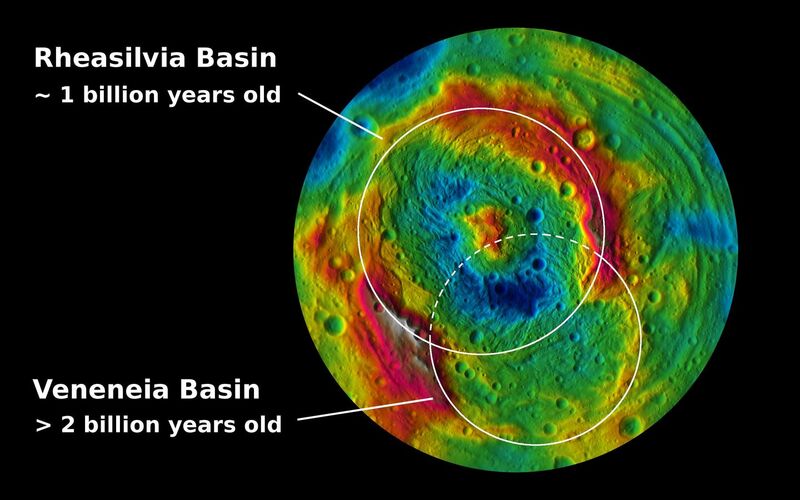 The other basin, Veneneia, is 250 miles (400 kilometers) across and lies partially beneath Rheasilvia. Scientists estimate that Veneneia is at least 2 billion years old. The topography was derived from images taken by Dawn's framing camera during Dawn's high-altitude mapping orbit, which averaged about 420 miles (680 kilometers) in altitude and took place from Sept. 30 to Nov. 2, 2011. The resolution during that orbit was about 200 feet (60 meters) per pixel.